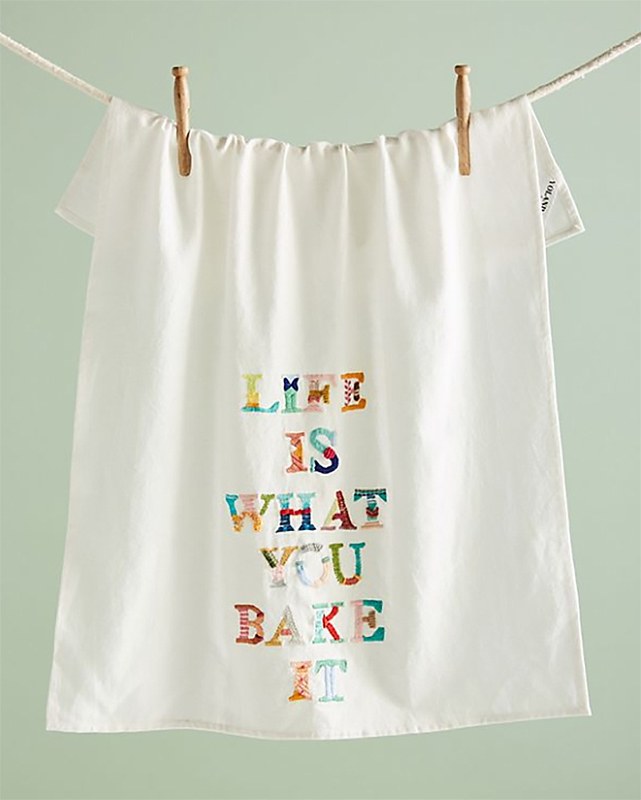 These items are curated for bakers and confectioners of every stripe. Practical baking basics, creative tools, and special ingredients will make this holiday season sweet for the baker on your gift list! CIA 6 Piece Measuring Spoon Set – Perfect stocking-stuffer or tie-on for packages! I have enjoyed this set for years. My general advice on measuring spoons is to never ever ever, buy plastic spoons with the measurements printed on. They become brittle with repeated washing and will break. Parrish Magic Line Pans – These are possibly THE BEST baking pans I’ve ever used. The 8x8 square pan is a MUST for brownie recipes. A two-pack of 9-inch round cake pans is a great gift for cake bakers. They are highly durable pans with straight sides, and the light aluminum color prevents over-browning. Durable Grid Cooling Rack - This one is large, heavy duty, and fits perfectly inside a jelly roll pan. Grid racks are my personal favorites because smaller baked goods lie flat and won't teeter as they will on other wire racks. Cookie bakers and layer cake makers will need at least two. KitchenAid Stand Mixer - You probably expected this, and it feels boring to repeat the suggestion so often, but it's on every baker's wish list for good reason. Simply put, it makes life easier in the kitchen. If a standing mixer isn't in the budget, consider a KitchenAid Hand Mixer, 5 speed or higher for most kitchen tasks. Ateco Revolving Cake Decorating Stand - every layer cake baker needs this, along with a bench scraper or icing smoother for perfectly finished cakes. Nordic Ware Bundt Pans - I will always be delighted to receive a Nordic Ware Bundt Pan as a gift and that's why I love to give them. 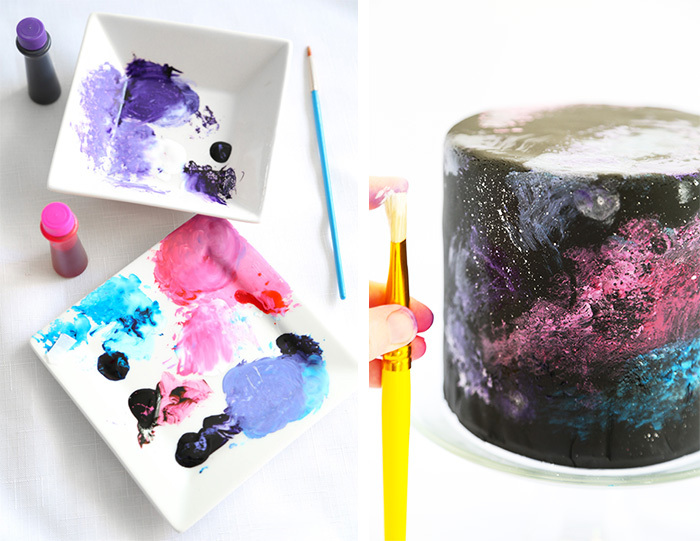 They are durable, beautiful, and the easiest way to make cakes look fancy. I have all of the following, and love every single one: Heritage, Original, Jubilee, Crown, Cozy Village, Squared, Charms. For a truly thoughtful gift, package a pan with flour-based baking spray. Marble Rolling Pin - stays cool naturally, which prevents sticking when rolling out pie and cookie dough. Bonus: is beautiful. AmeriColor Nifty Fifty Food Color Pack - Bakers who consider confectionery an art form will appreciate having a wide range of colors on their palette. This set of 12 is also nice and affordable. Cakes In Bloom by Peggy Porschen - This book is great for those who wish to learn more about making floral elements with sugar paste for cakes. I own this book and find it useful. Consider pairing this book with packages of gum paste and fondant, and a nice gum paste tool set with flower cutters. Sprinkles! - You guys. The sprinkle mixes currently available for purchase now are so beautiful, they make the heart zing! I especially love those from the likes of Sweetapolita and Fancy Sprinkles. Freshware Silicone Molds - I have BUNCHES of these in different shapes and sizes. They are affordable and easy to use. You can bake cakes in them or use them to mold candy. My favorites: Pyramid (remember these? ), Caneles (remember these and these?) Half Sphere (used on this cake). Cookie Plunger Cutters - This is an easy way to make pretty cookies, but I like using them to stamp shapes from pie dough to make beautiful embellishments for pies. I recently purchased this set of snowflake cutters to decorate mini Christmas pies. I also have this set of leaf cutters (see this pie). Metallic Luster Dust - This set has every metallic, which provides a world of creative possibilities! I use luster dust in all kinds of ways, like for these crackling circuit board pops, and for gilding cherries on Black Forest Cake. Consider pairing these with a set of dedicated cake decorating brushes. SprinkleBakes: Dessert Recipes to Inspire Your Inner Artist - my first book! Available online, and in book stores such as Barnes and Noble. The book's chapters follow art techniques such as line, color, sculpture and mixed media. It is truly a book for the creative baker. Smoked Brown Sugar - This has become a staple in my pantry, and also in my coffee! It makes a lovely addition to any kind of baked good, including these Smoked Brown Sugar Gingersnaps. Dried Butterfly Pea Flower - This could also go in the 'creative baking' category because of its color-changing elements (read more here). I've only begun to experiment with the tea in culinary applications, but there's no question that it's a lot of fun and feels quite magical! Saffron Powder - Saffron is widely known as the world's most expensive spice per ounce, which makes it a squee-worthy gift for cooks and bakers. I use these little capsules to make the brightest gold saffron breads and buns, ever! (See St. Lucia's Crown.). The powder capsules are easy to use because they can be added directly to batter and dough, whereas saffron strands must be steeped first. Vanilla Beans - ... are SO expensive right now! If you want to make your baker friend very happy, pick up a few here. I can almost guarantee they will be highly prized and rationed for extra-special confections. Espresso Powder - Lovely in all kinds of desserts, including- but not limited to - Tiramisu. Edible Gold Leaf - This is a great gift for confectioners of all kinds, but especially budding chocolatiers. Gold on chocolate = swoon. 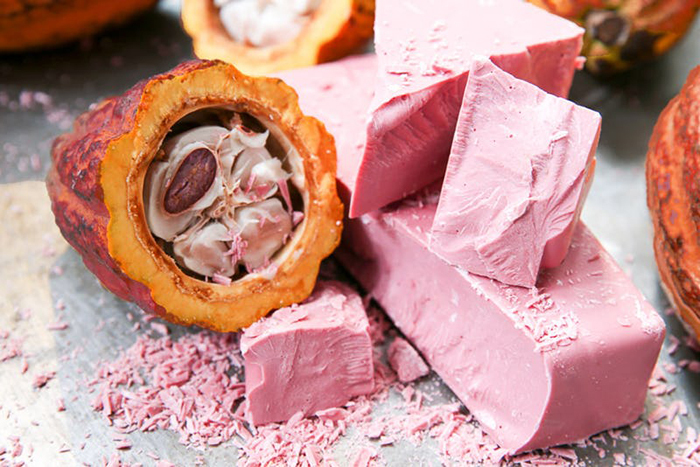 Ruby Chocolate - this chocolate isn't widely available to US bakers/confectioners yet, HOWEVER! Callets can be ordered and shipped internationally. If you order now, there's a good chance you could get it by Christmas. Otherwise, if you're just looking to taste this new sensation, a box of four truffles can be easily ordered from Vosges. Gourmet Sea Salt Sampler - This set looks beautiful on a kitchen counter top, and it draws people in to examine all the different types of salt packaged in the test tubes. It includes highly prized Fleur de Sel, Cyprus Flake, and coarse Hawaiian Red. If you're gifting to a dessert lover, consider pairing it with Sea Salt Sweet (which is just under $8 right now on Amazon!). Dessert Graphic Sweatshirt - I mean, who doesn't need a sweatshirt that says 'CREME BRULEE' on it? Hello, Sugar Tote from Draper James - I do love a tote! I've been using (and abusing) this one to carry things to dessert workshops and other fun occasions. I over stuff it with things that shouldn't go in nice tote bags, like piping bags of buttercream, fondant, kitchen scissors, paring knives and other cake-emergency related items. It is durable, to say the least. 3 Piece Bento Box from Sugarfina - If you're the sweets-lover on my gift list, you're probably getting this! Tipsy Elves Bento is super cute in a red trunk. Kate Spade Shine Sparkle Tidbit Plates - A perfect hostess gift, which can be used for New Year's Eve celebrations and beyond! Rainbow Sprinkles Crown - Yes absolutely without question, we all need one. 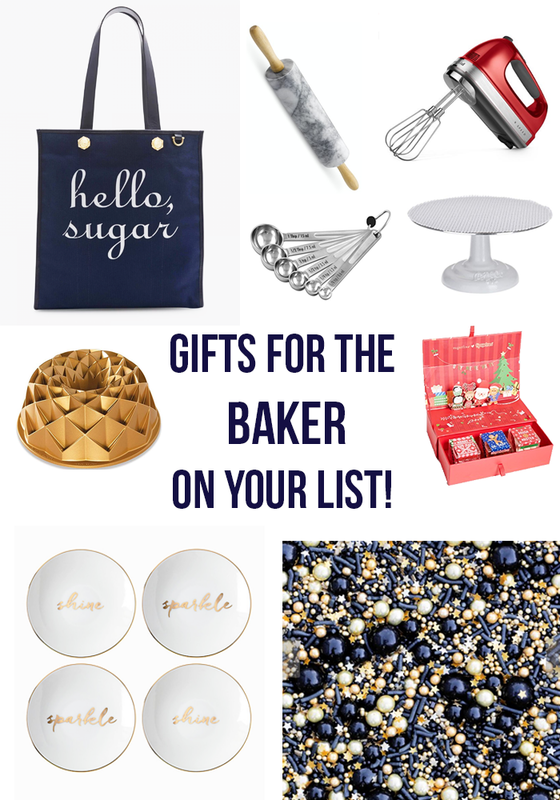 link Gifts For The Baker On Your List! By Heather Baird Published: Monday, November 26, 2018 Monday, November 26, 2018 Gifts For The Baker On Your List! What is the thing in the title picture to the right of the text? It's like a red box with a drawer and more little boxes of something? I've been clicking on all the links and can't seem to figure out what it is, it just caught my eye for some reason. Hi Nica! Its the tipsy elves bento box by sugarfina. There are a few varieties of holiday bentos this year.